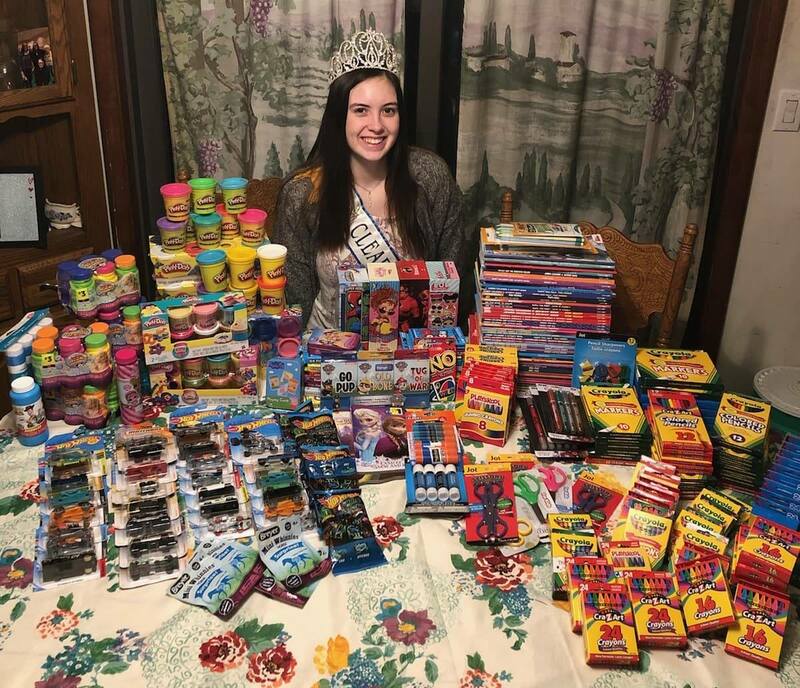 Jayna Vicary is helping children in need as part of her current reign as Clearfield County Fair Queen. On March 13, Vicary, along with Fair Queen committee members, took collected donations to the Janet Weis Children’s Hospital of Geisinger in Danville. Vicary collected donations of children’s items from her community to donate to the hospital’s Child Life Services. Child Life Services at Geisinger Janet Weis Children’s Hospital relies upon such donations to make the hospital a more kid-friendly place. Donations help patients have something fun to do or may provide comfort during what can be a difficult time. While at the hospital, Vicary and queen’s committee members were able to take part in a tour of the facilities. This gave them the unique opportunity to connect to their charitable efforts and see where their donations go and how they help others. The Fair Queen program has been making monetary donations to hospitals, including Janet Weis Children’s Hospital, through the Children’s Miracle Network for many years. Since 2002, the “Queens for a Cause” program has donated $162,000 to the Children’s Miracle Network and over $17,500 to local charities. The “Queens for a Cause” program is partnering with the Clearfield County 4-H Teen Council to host the ninth annual (Indoor) Easter Egg-Stravaganza. It will take place Saturday, April 6, from 11 a.m. – 3 p.m., at the Expo II Building at the Clearfield County Fairgrounds.